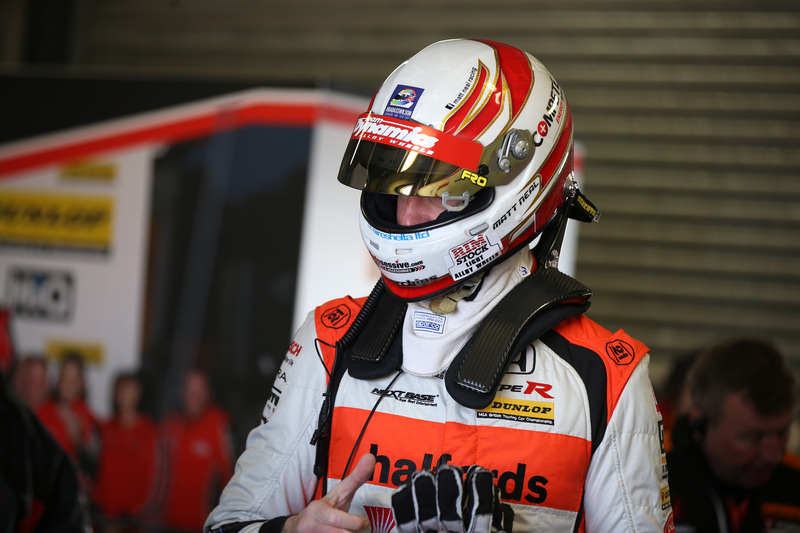 Longstanding touring car racer Matt Neal amassed the most points at the first three Dunlop MSA British Touring Car Championship races of the season at Brands Hatch, despite not coming first in any of the contests. So, what did the championship's second race weekend at Donington Park bring? Here are our highlights. 1. Rookie Ashley Sutton and his MG Racing RCIB Insurance teammate Josh Cook qualified a memorable one-two in Saturday’s session, setting them up for the front row in the opening race of the weekend at the East Midlands track. Provisional pole position changed hands more than ten times, tempered by tricky conditions, which, at one stage, included sun on one side of the circuit and hail on the other. With almost all of the cars opting for Dunlop wet tyres for the first 25 minutes, there were several improvements from drivers, but almost as many off-track incidents as competitors struggled with the conditions. 2. 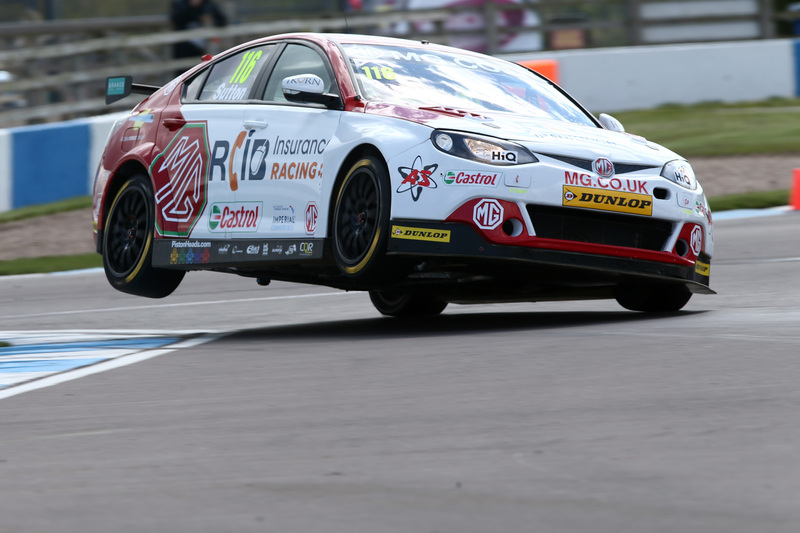 Motorbase Performance’s Mat Jackson won the opener at Donington Park after muscling his way past MG’s Sutton and Cook in positions one and two. Despite his pole position, Sutton dropped back to fourth while Cook’s rubbed wheels with Jackson’s Ford Focus, but the latter was able to get past on the run down to Redgate for the first time. Still, Sutton put up a fight, managing to slip back past Rob Collard’s BMW before the end of the first tour, with the two drivers continuing to duel for much of the race. 3. Race one came to a dramatic end as Matt Simpson and Daniel Welch made heavy contact at Coppice, while the Subaru of James Cole burst into flames in an unrelated incident. With just one lap to go and three cars littering the circuit in dangerous positions, the stewards were forced to wave the red flag, handing Jackson the spoils from Cook in second place and Speedworks Motorsport’s Tom Ingram in third. 4. 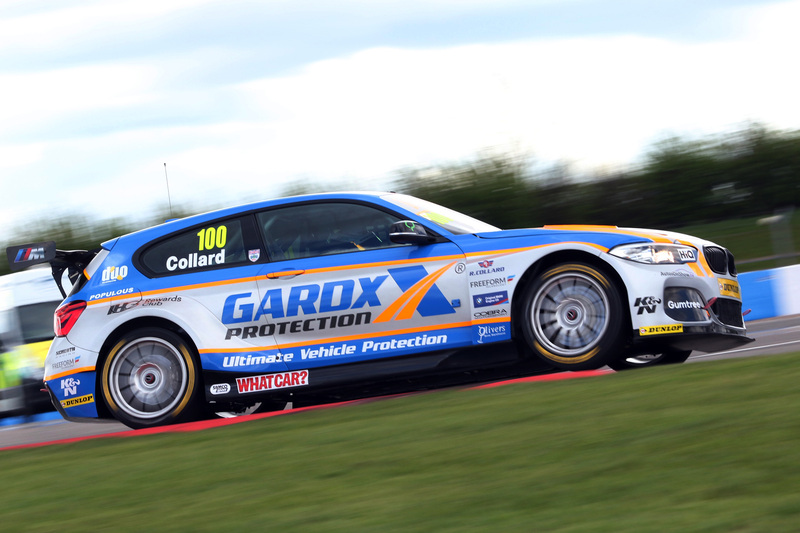 In race two, Rob Collard became the fifth different winner from the opening five races of the season after making a late overtaking move on Mat Jackson. With BMW joining Toyota, Honda, Mercedes and Ford in the winners’ circle so far this season, West Surrey Racing’s Collard managed the feat from sixth on the grid. 5. Despite rising up to third on the first lap, it wasn’t until lap 12 that Collard made further ground, thanks to excellent defending from Tom Ingram. Having neatly passed the Toyota Avensis at the final chicane, Collard quickly tried to hunt down Jackson, who had been leading throughout. Eventually, Collard met the success-ballast-laden Focus with the two cars running side-by-side on the exit of Coppice on lap 18, before Jackson had to concede going into the Esses. The race one winner took second while a sensational scrap ensued behind him for the final podium position, which eventually went to Aron Smith for BKR. 6. Matt Neal, overall points leader after the first three rounds of the season at Brands Hatch - and BTCC champion in 2005, 2006 and 2011 - came first in race three at Donington Park, becoming the sixth different winner in six races. With team mate Gordon Shedden close behind him, Halfords Yuasa Racing took an impressive one-two in the final race of the day. 7. The race three results weren’t a given though, with Sam Tordoff maintaining his lead from pole position, while his West Surrey Racing teammate Jack Goff joined him having slipped past Neal at the Esses. But as the laps went by, it became more and more difficult for the WSR duo to maintain their Dunlop SportMaxx soft tyres, while those with the harder compound could continue to lap strongly. Soon enough, Goff, and later Tordoff, were helpless to resist Honda’s charge and Neal and Shedden moved in to take the front two spots. 8. Neal’s round 6 win means he retains his position atop the drivers’ championship table with 78 points, followed by Gordon Shedden (73), Jack Goff (66) and Rob Collard (64). The remaining top ten are Mat Jackson, Sam Tordoff, Aron Smith, Ashley Sutton, Josh Cook and Adam Morgan respectively. these reports are pointless to all but the regular BTCC watchers, as drivers names on their own give no indication of the vehicle driven. Likewise team names without a make are equally pointless. I suggest bracketing the vehicle after driver and team names. This weekend i took the family along to Donington to give my wife and 4 year old son their first experience of a 'live' motor race. Its been 4 years since i last visited a british race meeting and 10 years since i regularly attended F1 races around the world. They thoroughly enjoyed the experience and the weather on sunday was kind so the delights of Donington shone through. My wife hates the obscene cost of Premier league football and when all said and done the three of us had a full day's entertainment for less than we would pay for 90 minutes of live premiership football. I also thoroughly enjoyed my 'return' to seeing live motorsport and more comparisons should be made to the value on offer to families compared with other sports. It should be noted here that i'm comparing Premier League football viewing to a 'premier' UK motorsport caetgory and European football (champions league) to F1! - Good 'banter' in the crowd, no swearing of male 'tribal' ego's!